In New Orleans, we love an opportunity to dress up in a situational outfit or a costume; the potholed streets are our runways. 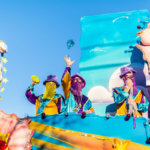 Let’s not forget, it’s Jazz Fest, not Coachella, so festival fashion in New Orleans is less about trends and more about surviving the elements. But, who said you can’t fest and make it fashionable as well? 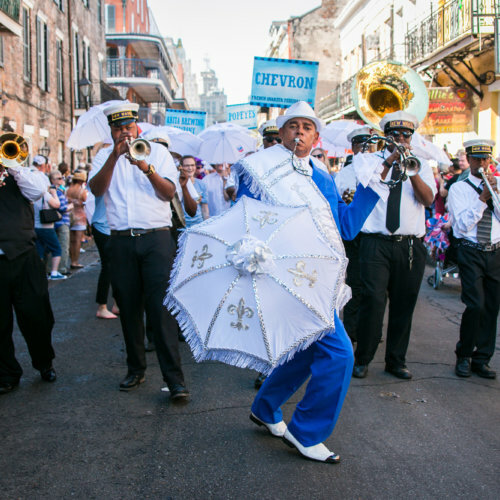 Whether your style is on trend or “dad on vacation” vibe, we’ve got the local stores that have all the Jazz Fest goods you’ll need for the next few weeks of festing. The spa might sound like a counter-intuitive place to visit before festing. I mean, I am a full supporter of facial or massage after two weekends of Jazz Fest, but there are plenty of reasons to visit this boutique and day spa beforehand. Belladonna is one of the largest retail stores on Magazine Street. 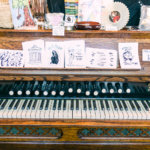 And, there’s so much more to find there besides a large selection of face elixirs and candles. Between the clothing, accessories, and makeup, Belladonna has everything you’ll need to look great at the festivals. All the pieces found there have been curated and come from artisans both locally and globally. Any piece you find there will be unique, so no awkward run-ins with someone wearing the same outfit at your favorite festival. Currently, the boutique has fabulous, spring-inspired head-pieces and head wraps to accessorize any outfit. You’ll find colorful and airy clothing made with sequins and tassels from Thailand, and temporary tattoos, makeup, and glitter palettes to complete the look. Madeworn t-shirts from Stonefree are comfortable and always in style. While the current lineup at Jazz Fest might still be TBD, band t-shirts never go out of style. Wear a Schnell Studio Rolling Stones T-shirt to show your love of the band, despite them no longer headlining Jazz Fest, or wear it on the second Thursday of Jazz Fest a la New Orleans boycott style. 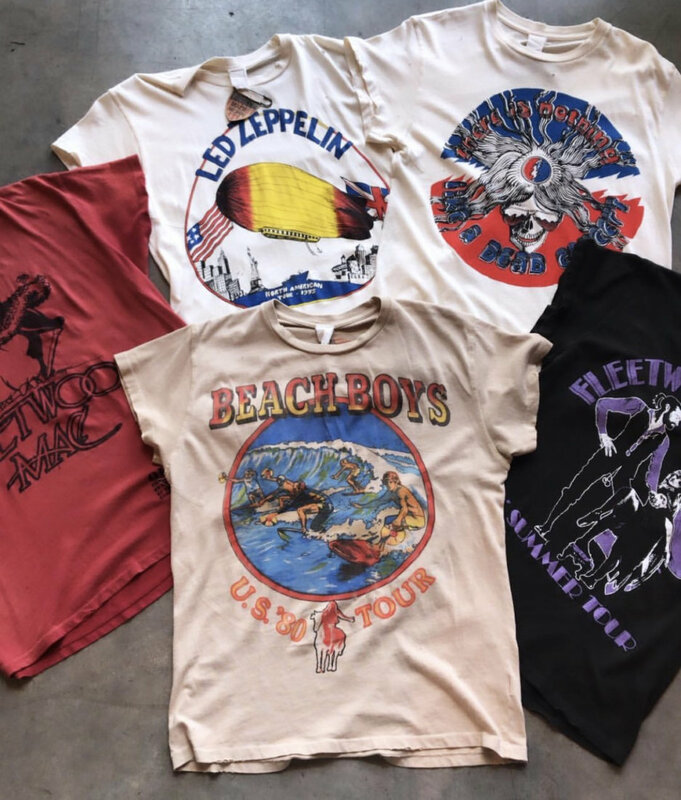 Stonefree in the South Market District has a great selection of vintage-inspired t-shirts by Madeworn, featuring legends like Fleetwood Mac, Led Zeppelin, and the Beach Boys, among others. Hemline also carries a selection of band t-shirts and tank tops, in addition to their own branded festival tees and tank tops. 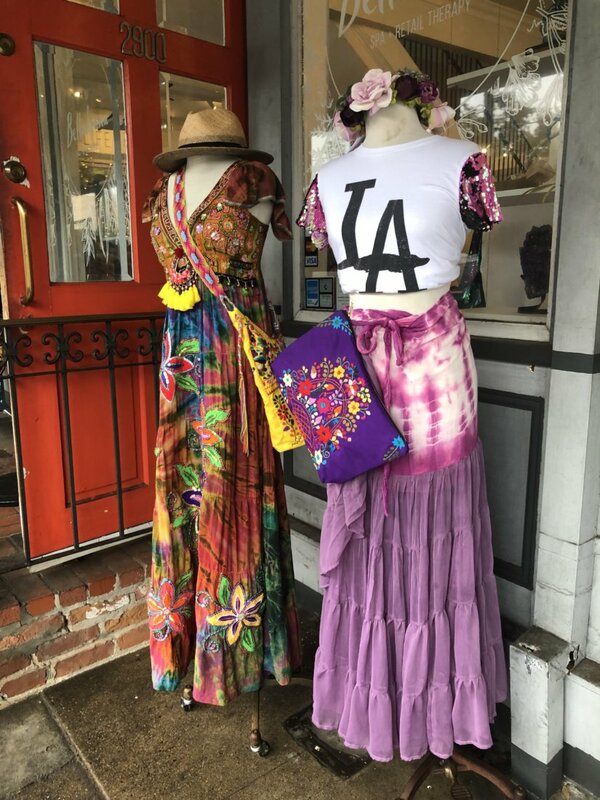 The collection includes kitschy pieces that call out those who mainly go to the fest for the food with tanks that read “I’m here for the mango freeze” and “I’m here for the crawfish bread.” Ain’t that the truth, though? Festive earrings found at Trendz on Magazine Street. I’ve said it before and I’ll say it again: you can never have enough accessories, regardless of your festival style and ensemble. Trendz on Magazine has a selection of goodies that are both stylish and functional, such as lightweight kimonos, straw hats, and sunglasses. 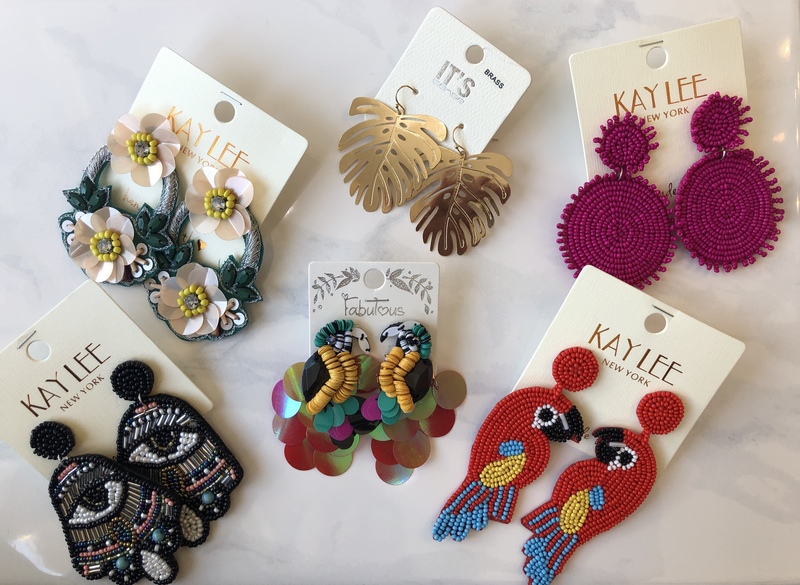 The earrings are less functional and more about style, but their prices are always affordable so you never feel guilty about stocking up for every occasion. Be sure to check out their selection of parrot earrings for the Jimmy Buffet performance. For more hat options, visit Goorin Bros. at either their French Quarter or Magazine location. They have a wide variety of hat options and styles, and can size your hat for a comfortable fit. For classic, locally designed sunglasses, Krewe has you covered at either of their boutique locations in the French Quarter or Lower Garden District. Their glasses are stylish and durable enough to withstand the festival elements. Plus, the associates at the store make sure they are fitted to your face before you leave, because you don’t want those bad boys slipping off your face in the New Orleans heat. There are two types of people in this world: those who go to the festival fully prepared with the chairs, blankets, flags, sunscreen and all the essentials, and there are those who mooch. I fall into the latter, so no shade there. For those who are always prepared, or even those who wish they were, there are a few retailers ready to help with that. Rouses has all the festival chairs for $5 a pop, so there’s no guilt if you “forget” to pick it up or decide to abandon it at the end of the weekend. 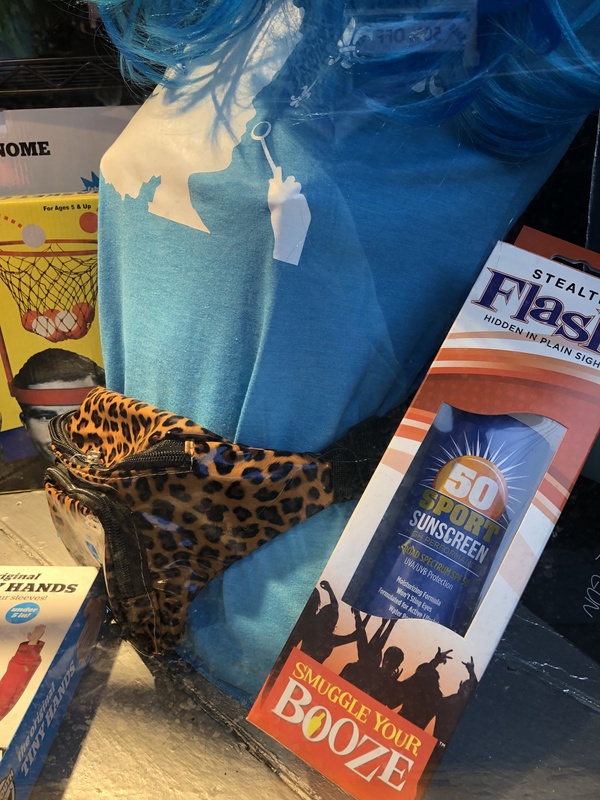 Funrock’n on Magazine is a treasure trove for costumes and collectibles, so it might seem like a random choice for festival essentials, until you need a flask disguised as a sunscreen tube. The flask shaped like a sunscreen bottle from Funrock’n is the essential you never knew you needed. Lastly, if you want to be prepared to survive the elements, a raincoat is key. 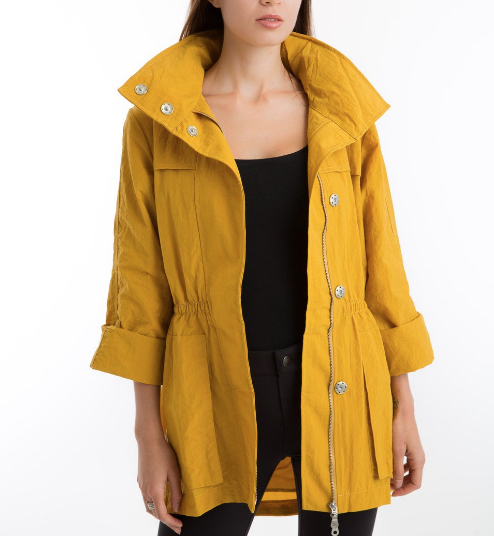 Pick up jacket that can withstand more than the plastic poncho, like this one from Lucy Rose. Rain boots are a great essential, whether it’s raining or not, as the festival grounds tend to get pretty messy. Jean Therapy carries Hunter boots in the short version, so your legs don’t have to sweat out on the grounds but your feet stay dry, for $95. 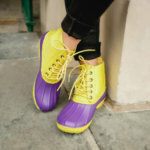 It might seem like an investment, but the boots are easy to clean off and durable to be used all year long in New Orleans’ unpredictable climate.